Zombie Survival video games besides Resident Evil? Anyone know of any GOOD zombie survival games besides Resident Evil? I absolutely love Zombies....Zombie films are great, and I love the Resident Evil series of games. Now i'm looking for other stuff. Thanks! Not exactly "zombie" games... but a natural progression from Resident Evil would be the Silent Hill series, or Eternal Darkness on the Gamecube. If you have a PC, there is a great single player Half-Life Mod called "They Hunger" which you can read about here. Which system(s) do you have? Siren for PS2 just came out, that's also on this line. Evil Dead - Fistfull of Boomstick is chock full 'o zombies. Of course, it's also chock full 'o crap. But hey, you wanted zombies. Zombie Revenge on Sega Dreamcast is my all time favorite zombie game as it captures the sheer lunacy & bad acting typically found in zombie movies. The game is a classic beat 'em up with different weapons & creative ways to kill off zombies (some of the more creative are a flamethrower, a giant power drill, and a guitar case with machine gun concealed inside - ala El Mariachi/Desperado). 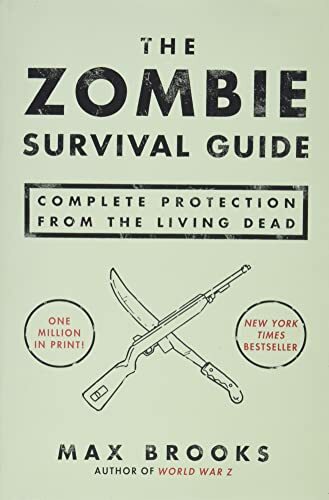 Or, if you prefer, you can use your fists and walk right up to a zombie horde and just start decking them in their faces - hysterical fun for all! I am actually going to place an order for that book. If anyone wants share the love (10% off) at amazon.com, post your email here or email me. I will probably place my order tomorrow (wendsday). Wasn't someone working on a Dawn of the Dead mod for Battlefield 1942? That sounds cool... but the closest I could find was a DOTD Mod for Half Life 2. "Alone In The Dark" was the original survival horror game. I have only played the first 5 minutes of it, but from reviews I have read, it is a really awesome game. View Next Unread Video Game Price Search Engines?